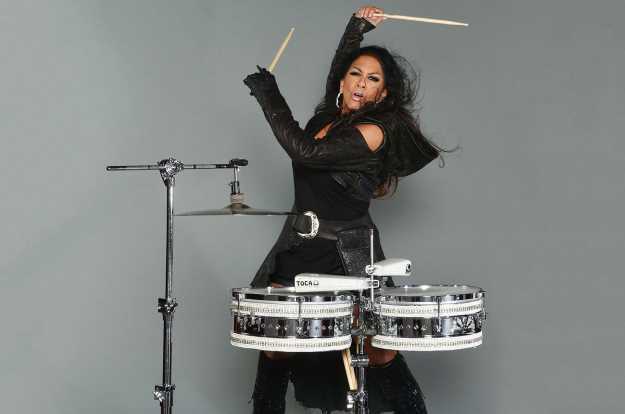 The last couple of years, while working on two different albums, singer-percussionist Sheila E. realized she had to shift gears. So she stashed those projects and refocused. In response to what she calls a presidential administration of “lies, discrimination, prejudice and institutionalized supremacy,” Sheila E. has released “Iconic: Message 4 America,” in which she re-imagines a number of classics by the likes of Marvin Gaye, the Beatles and Parliament-Funkadelic. She hopes the songs work as a force of positive change. The set includes “Come Together” featuring Ringo Starr, “Everyday People” featuring Freddie Stone, “Jesus Children of America” featuring Israel Houghton, “JB Medley” featuring Bootsy Collins and “One Nation Under a Groove”/“Mothership Connection” featuring George Clinton. Choosing the songs for “Iconic: Message 4 America” was a big undertaking. There are many that fit the bill. “Inner City Blues,” immortalized by Marvin Gaye, is full of lyrics that speak to her upbringing, as well as about policing and gun control. She says part of her “ministry” at her concerts is about love. The album is notable: It’s the first time Sheila E. has appeared on the Billboard charts in 26 years. She didn’t realize that fact until it was brought to her attention.